Michael and Chris discuss developing on and for the cloud. The risks and advantages therein, and the lessons we’ve learned. Plus your great feedback, Apple’s DRM problem that lead to app crashes, and some thoughts on the Google Computer Engine. Clearing up the multi core confusion Blog post: Bad Synchronous Call! Bad! “Concurrency? That’s not news! People are already writing concurrent applications.” That’s true. Of a small fraction of developers. 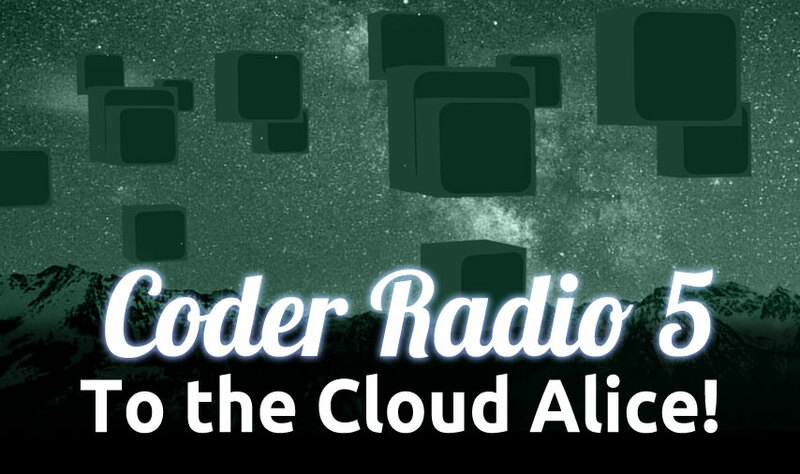 Nicholas, the Coder Radio Prophet, spreads the gospel! You need a zone defense! Plan for the divorce while you are planning the wedding. Watch out for that lockin. Both unicorns and the magical scaling fairy do not exist. Compute Engine is it for me? Compute Engine has a RESTFUL API! How does CE compate to EC2 or Rackspace? What is PAAS and how does it compare to IAAS? How do I develop for PAAS? A world without DRM — a wonderful world? The cost of app piracy. Mike’s skirmish with app pirates.